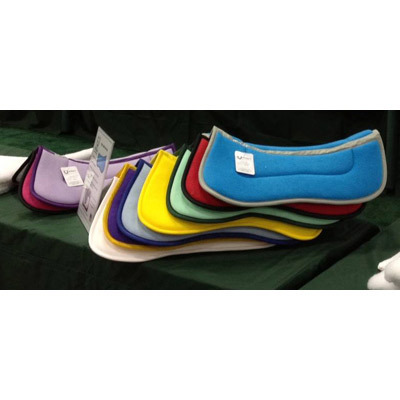 Smart looking half pad features a custom color polar fleece top with custom color trim, a 1" thick polyurethane foam core, and a soft cotton flannel lining. Half pads are perfect for cushioning your horse's back while maintaining effective, less padded, communication from your leg aids. 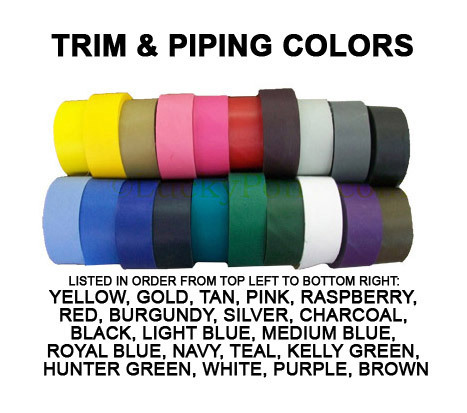 Pair this pad with a matching Custom Color Baby Pad to create a polished and professional look. 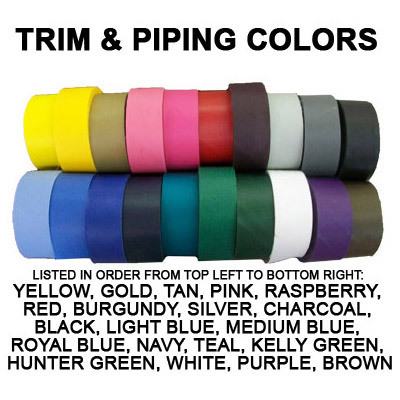 Choose your barn colors or any combinations of fun and unique colors. Made in the USA. Machine washable, dryer safe. Requires about 10 business days for custom production. Choose horse or pony size.